BOSS Dale Allitt wants King’s Lynn’s fans to provide the fire while his riders stay ice cool in tonight’s crunch double header with Leicester (7pm). 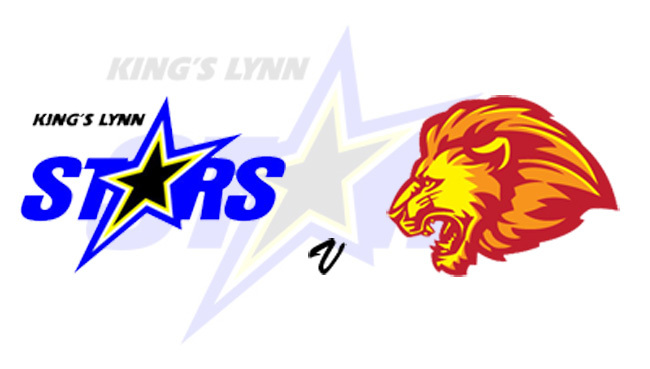 The Tru Plant Stars will seal top spot in the SGB Premiership with four points from the two back-to-back meetings with the Lions at the Adrian Flux Arena. That requirement could be reduced dependent on how rivals Somerset fare in their final league meeting of 2018 at Belle Vue (7.30). Essentially, King’s Lynn need to match whatever the Rebels pick up at the National Speedway Stadium to lead the way and benefit from the choice of semi-final opponents in the championship-deciding play-offs. It was Tuesday’s 61-29 loss at Somerset that took it to the wire but Allitt remains relaxed going into the final countdown. “It has always been in our hands and still is. There is no panic and nothing has changed,” said Allitt. “We are still top of the league. The Somerset meeting was a kick up the backside, one that was unwanted but it won’t do us any harm either. “To be fair to the lads, everyone worked as hard as they always do and anyone there would have seen that. We did not give in. “It sets us up for a big finish and we will be looking to put on a show for our loyal supporters. “The fans have been fantastic this year and no doubt they will play a big part in this last push. The Stars have booked Swindon’s Adam Ellis to guest for the injured Ty Proctor. Niels-Kristian Iversen returns having missed Tuesday due to racing commitments in Sweden. KING'S LYNN: Robert Lambert, Erik Riss, Adan Ellis, Thomas Jorgensen, Niels-Kristian Iversen, Michael Palm Toft, Simon Lambert. LEICESTER: Hans Andersen, Josh Auty, Charles Wright, Ricky Wells, Scott Nicholls, Connor Mountain, Stuart Robson.